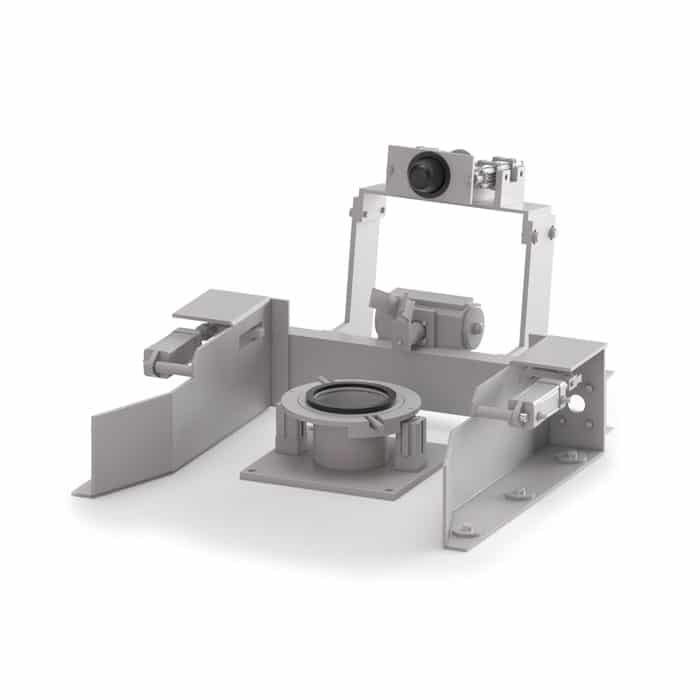 The MIXACO discharge stations are used for dust free emptying of the product into the further processing step (e.g. dosing system into an extruder). The container is fixed in place when moved into the discharge station. Differentiated by the way of feeding the container. 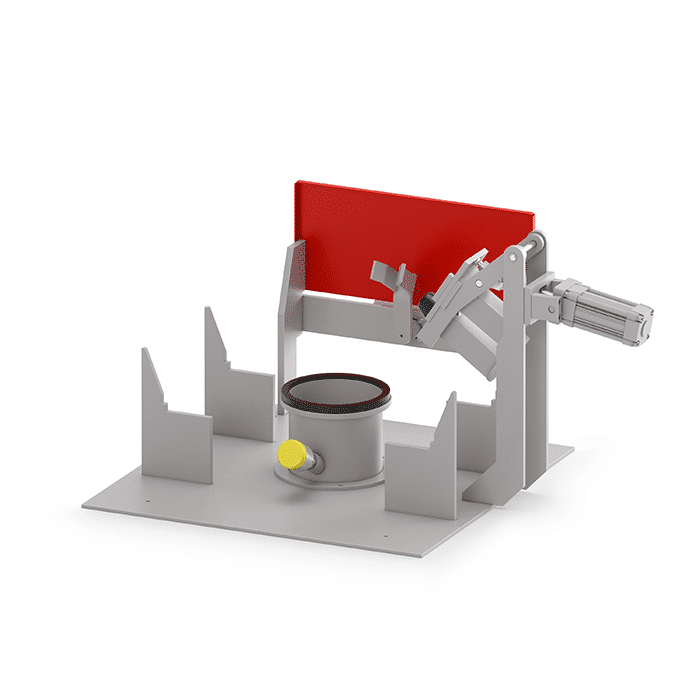 The movable container is pushed by means of its own wheels into the discharge station type guide fork and is locked in place. A pneumatic coupling is used to connect the discharge pipe to the container discharge valve. The container is placed onto the emptying station with the aid of a lifting device (crane or forklift).